Bringing Chicago circa 1893 to vivid life, Erik Larson’s spell-binding bestseller intertwines the true tale of two men–the brilliant architect behind the legendary 1893 World’s Fair, striving to secure America’s place in the world; and the cunning serial killer who used the fair to lure his victims to their death. The Devil in The White City has been on my bookshelf for years. I think it’s time I finally picked it up. I can’t remember when I came across Hidden Figures but I’ve been thinking of reading it ever since. HAMILTON: THE REVOLUTION gives readers an unprecedented view of both revolutions. Miranda, along with Jeremy McCarter, traces its development from an improbable perfor­mance at the White House to its landmark opening night on Broadway six years later. In addition, Miranda has written more than 200 funny, revealing footnotes for his award-winning libretto, the full text of which is published here. I’m reading this because I want to know what all the hype surrounding Hamilton is (I know nothing about it.) I’m honestly not sure what to expect. I’m thinking this will be the musical in text form with some inside stuff in footnote form and maybe some other anecdotes about how it came to be. 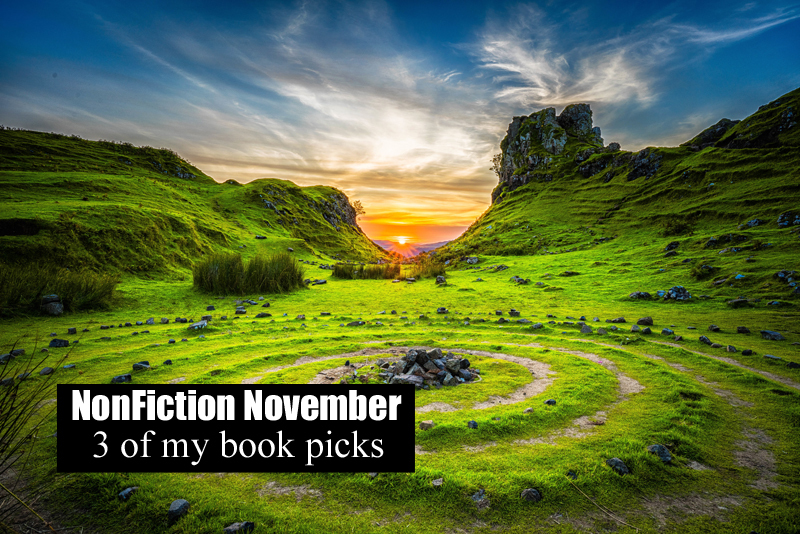 Are you participating in Non-Fiction November? Can anyone enlighten me on Hamilton? Watch the Grammy performance or the Tony performance to get the Hamilton hype. Then, listen to the cast recording (on YouTube or Spotify). If you’re not into it after listening to the fifth song, it’s probably not your cuppa. Thanks for the tips! I’ll check it out!